The necessities of modern war have forced combat vehicles to get sophisticated, like the massive JLTV that replaces the venerable Humvee. However, Dr. Juri E. Postnikov thinks that there’s an alternative. His Partisan One concept eschews cutting-edge tech for the ability to put huge numbers of them on the road in a quick period of time. The goal is to be the “best car for the world's worst roads." Dr. Postnikov says that the design is deliberately primitive. 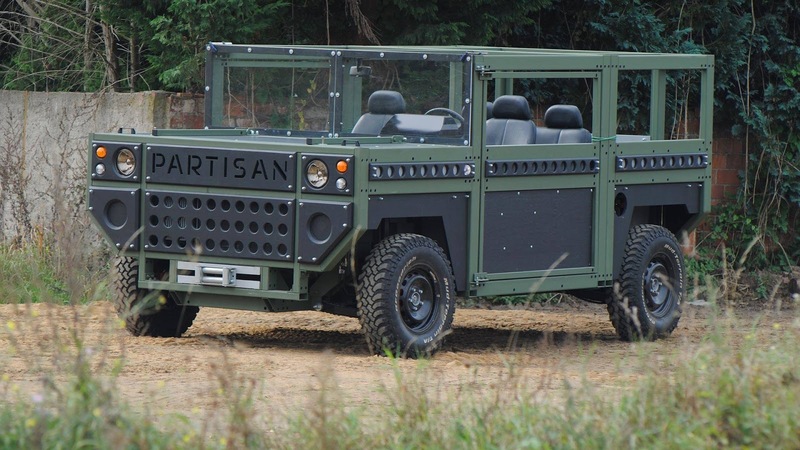 The Partisan One’s shape takes the two-box design to its logical extreme with an ultra-angular front end and large rectangle for the passenger compartment. There’s not a single curvy line visible on the SUV. As a military vehicle, survivability is a major concern. The circular recesses along the exterior act as points for attaching armor plates. There would also be locations underneath the vehicle for fitting V-shaped armor as protection against explosives in the ground. Underneath the angular body panels, the Partisan One would use a high-strength steel space frame and wishbone suspension. The company seems rather unsure about the engine, though. The firm’s release offers the “possibility of installing various power units,” including powerplants with a transverse or longitudinal layout. The thinking behind creating this box on wheels is that it would be an incredibly simple to build. Dr. Postnikov also imagines a variety of body layouts, including a short-wheelbase three-door, long-wheelbase five-door, and pickup. Conceivably, 6x6 and 8x8 variants would be possible, too. 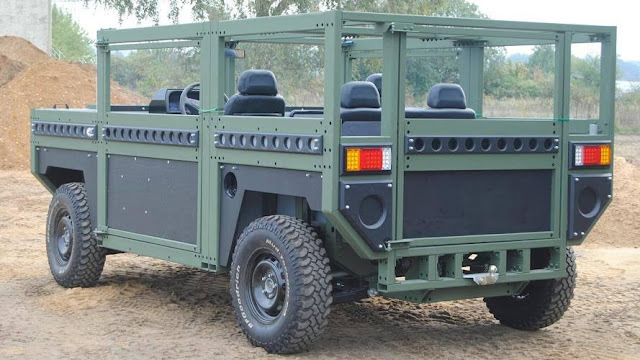 An army could fit knockdown kits for 5 of the vehicles in standard shipping container and then deliver the vehicles where the force needs them the most. Ugly as hell...but maybe they're onto something.